This bright Red In Spanish flashcard can be printed for free. This is a large version which will print to A4 paper very easily. Simply right click on the flashcard picture below and choose print. This is an educational resource for teaching the language to babies and young kids including preschoolers and toddlers. This is an effective method of teaching which is ideal for schools - teachers and tutors of this foreign language. 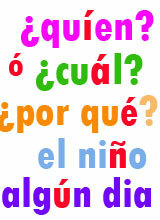 This Red In Spanish flashcard is bold, bright and clear for kids to read and understand. The picture can be clearly associated with the English and Spanish words for Red In Spanish and rojo. Both languages are written on our flashcards making them versatile enough to teach English to Spanish children also. This is a great way to begin teaching kids essential but simple vocabulary and words which is easy to remember, say and understand. Printable Color Red Flashcard for Children and ideas for lesson planning and teaching Spanish and English languages. Free printable color Red In Spanish flashcard for kids and teachers. Picture cards with words for Red In Spanish, rojo, los colores. Color Flashcards for kids and teachers.